‌The mission of the Center for Jewish Culture (CJC) is to increase the understanding and communication between Jewish and non-Jewish people of Southeastern Massachusetts. 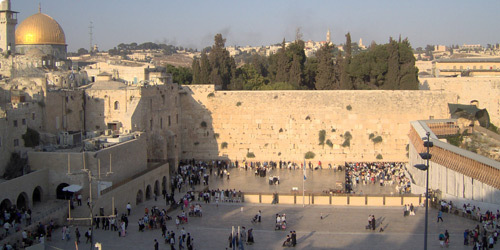 Under the direction of Rabbi Jacqueline Romm Satlow since 2007, the CJC sponsors educational and cultural programs that explore aspects of Jewish heritage, often in collaboration with other campus based academic centers and organizations. The Center works to expand the Judaica collection housed in the University's Claire T. Carney Library, including the Center for Jewish Culture Archives and individuals in the SouthCoast area. 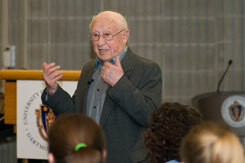 Rabbi Goldstein, Auschwitz survivor, speaks at UMass Dartmouth in memory of Kristallnacht.